The Sept. 11, 2001, terrorist attacks led to scores of changes in how U.S. residents live and do business, and the IT industry was not spared. The 9/11 attacks, coming just after the late ’90s Internet boom, were a wake-up call for many IT managers who hadn’t contemplated the possibility of their entire computing systems being destroyed without warning, some IT managers and company executives said. “Many companies maintained their systems under the basic idea that they could reconstruct the systems with only minor interruption to the enterprise,” said Keith Payne, IT security officer at Javitch, Block & Rathbone, a law firm with offices in Ohio and three other states. Losses of technology and intellectual property on “such a large scale” were considered unlikely before 9/11, Payne said. Ten years after 9/11 cloud storage and disaster recovery remain high-growth areas in the IT industry. ABI Research predicted the global market for business continuity and disaster data-recovery products would grow from US$24.3 billion in 2009 to more than $39 billion in 2015. 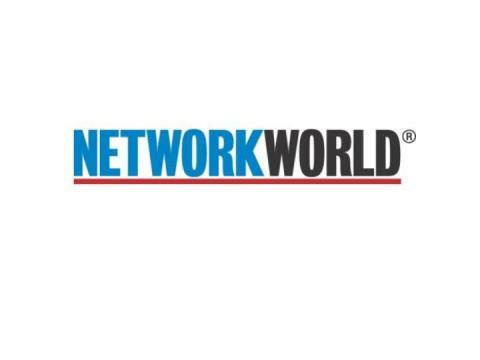 The open networked disk storage market grew 15 percent between the second quarter of 2010 and the second quarter of 2011, rising to $4.8 million in revenue, according to IDC. Vineet Jain, CEO and co-founder of cloud storage vendor Egnyte, points to 9/11 and later major disasters as leading to the modern cloud storage industry. The attacks showed that a single data center is more vulnerable than backing up data at multiple locations, he said. The attacks also led to a discussion in business circles about cybersecurity, with raised data security expectations from customers, he said. The attacks created a “classic turning point” where business customers became more concerned about data security and availability, he said. The 9/11 attacks also led to new government demands for information from businesses. Civil liberties groups protested after revelations that major telecom carriers helped the U.S. National Security Agency monitor the communications of some U.S. residents, and the U.S. Patriot Act, passed in late 2001, expanded the use of so-called national security letters allowing the Federal Bureau of Investigation and other agencies to issue secret subpoenas for information about customers. But for many businesses, 9/11 led to internal examinations about disaster response and recovery, executives said. Now, even small and medium-sized businesses realize their entire operation can be wiped out in an instant said Leib Lurie, co-founder and CEO of One Call Now, a provider of a mobile-phone messaging service and an Egnyte customer. U.S. businesses must now focus on preventing data loss and recovering quickly after a problem, he said. “The depth and breadth of threats are astounding,” he said. One Call Now had six employees in Joplin, Missouri, when a major tornado hit the city in May, but the company had the data backed up. The loss of a doctor’s records could be fatal in some cases, and with the loss of a law firm’s records, “you could have people tied in knots legally until you find alternative records, if you find them,” Lurie said. In recent years, Lurie sees more IT vendors, including his company and Egnyte, focusing on emergency response and recovery need of small and medium-sized businesses, with product pricing geared toward businesses with small budgets. In many cases, cloud-based storage can be cheaper than building a new data center, he said. The attacks spurred the creation of more robust IT systems and led to a focus on disaster recovery, said Rich Arenaro, CTO at Stroz Friedberg, a digital forensics and investigations firm. Even with an increased focus on the impact of disasters, Arenaro sees some “arrogance” in the IT industry about cyber-attacks not tied to disasters. The 9/11 attacks led to an awareness of the problems created by data losses, but many businesses still don’t take cyber-attacks seriously enough, he said. The 9/11 attacks showed that terrorists can hijack airplanes. Later cyber-attacks showed that simple-to-use hacking tools are available to people with limited IT skills, he said, even though ties between hacking and traditional terrorist groups are tenuous.